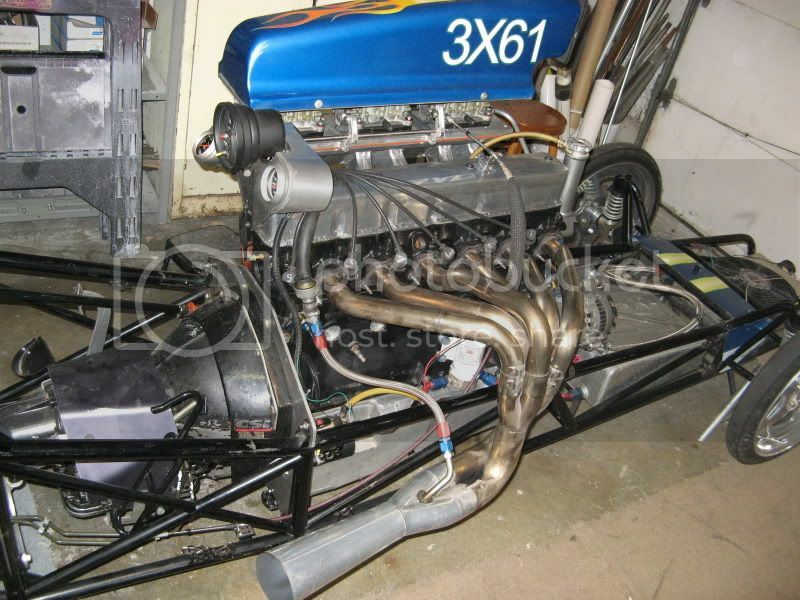 Here are some pics of the engine I will be using this year. I fired it up yesterday. I plan to run it in a week or so. What ET and Speed are you shooting for? 8.80s @ 150, Lord willin'. Did you fabricate the intake? It appears to be an IR? Whoops,...I should have looked closer. Thanks Harte3. I fabbed the intake, valve cover, mag drive, headers, water neck, water pump cover, alternator mount, gage pack, etc. I also did extensive mods to the carbs. They idle great, which has been a problem in the past. Getting the idle speed slow enough without making it run pig rich was the problem. Last edited by THE FRENCHTOWN FLYER on Sun Apr 19, 2009 6:38 pm, edited 1 time in total. Do you race strictly at Milan or do you run around some of the other area tracks? Just wondering if there a chance of seeing you at Martin US 131?? I have a 14 week points race schedule at MDW. I plan to race at the Hot Rod Reunion in St. Thomas, Ontario, CA and the Thompson, OH Gasser Reunion (with my '33 Willys coupe). I also want to introduce my oldest grandkids to junior dragsters this year. Maybe one of them will carry on the FTF racing tradition. Do you ever see Jerry Arnold at Martin? He runs some mean Ford and GMC sixes. He goes there to test. Greg, Good Luck this season. Very cool. Looks like you ran it up to 2400 when you last started it. 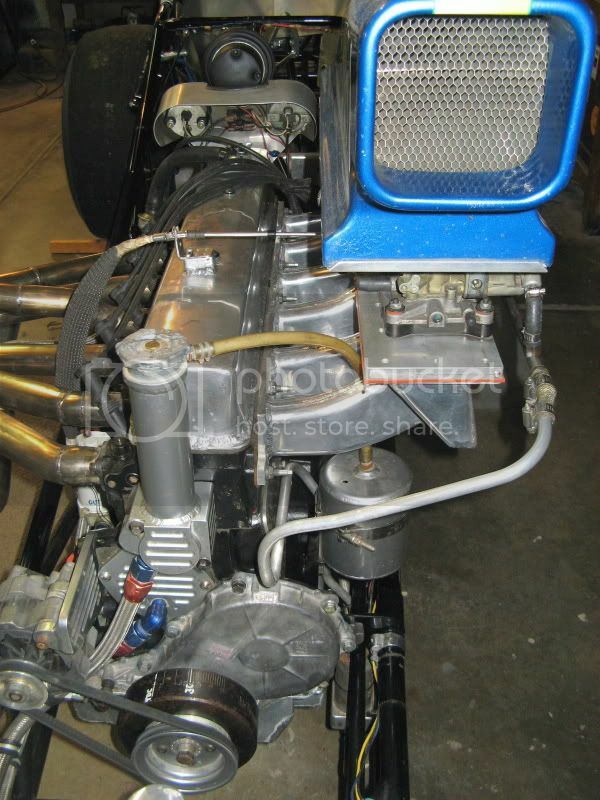 just wondering since its a race motor and a str8 6 where do you peak it out at rpm wise. That thing looks awesome. Is there anything on it that you havent made?? Have you lost count of the hours invested? Seriously impressive stuff. Good luck at the track! 1983 4x4 Bronco - '95 300 converted to carb, 5-speed, 3.55 gears and 9" rear. I rev it to 7400. I haven't kept track of all the hours spent - it is a "labor of love". 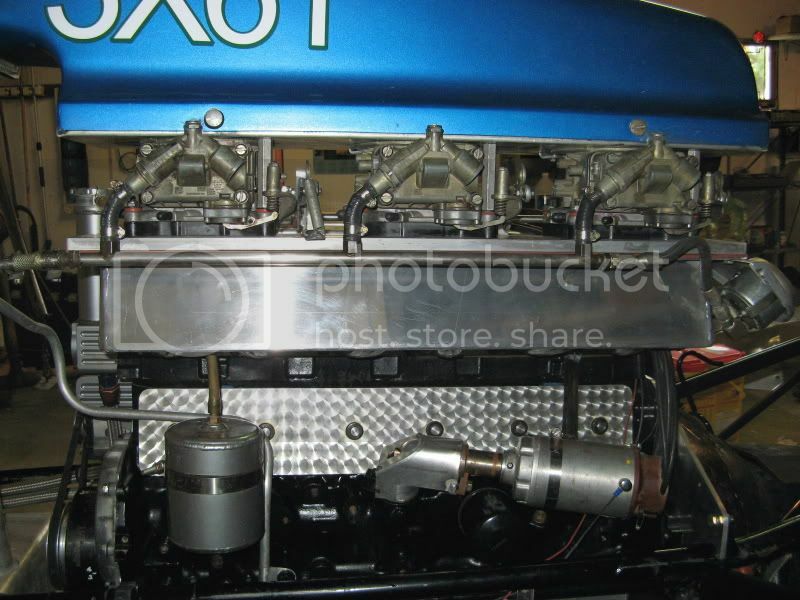 But, for example, I spent about 200 hours making the intake manifold. It required me to make four sets of hammerform dies just for the runners. Mucho head work done too. I hope it runs good this Sunday. We'll see. Gonna post some vids?? I would really like to see and hear it scream down the strip. American Thunder wrote: Gonna post some vids?? I would really like to see and hear it scream down the strip. No. But somebody posted a video of it on Youtube a couple years ago. looks mean, good luck at the track! just curious whats with the right angle dizzy? I'm a wee bit curious about the transmission. It looks like some sort of automatic. What is it? shmoozo wrote: I'm a wee bit curious about the transmission. It looks like some sort of automatic. What is it? yUP, tHE RIGHT ANGLE GEARBOX IS TO CLEAR THE INTAKE. sOME RACERS HAVE MADE CUT DOWN IGNITIONS THAT WERE CRANK TRIGGERED. oTHERS RUN OFF THE FRONT OF THE CAM. Its a Powerglide transmission with a timer activated air shifter and a trans brake. THE FRENCHTOWN FLYER wrote: yUP, tHE RIGHT ANGLE GEARBOX IS TO CLEAR THE INTAKE. sOME RACERS HAVE MADE CUT DOWN IGNITIONS THAT WERE CRANK TRIGGERED. oTHERS RUN OFF THE FRONT OF THE CAM. 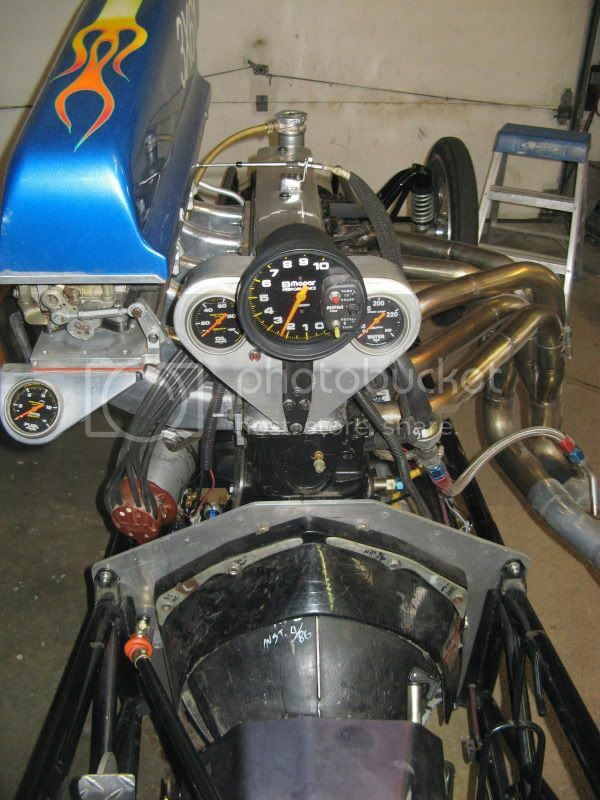 Yesterday it ran 9.12 @ 144 with a "soft" tune up on the engine and chassis. A good place to start off the season. Nothing broke. 2004 2.0 dohc 5speed focus DD "toycar"
That's what I was thinking it was, but I'm so NOT an expert I decided to ask. THE FRENCHTOWN FLYER wrote: ... Its a Powerglide transmission with a timer activated air shifter and a trans brake. Cool. I was thinking it looked like a Powerglide and wondering if I was right. Was it at all difficult to make it work with the Ford engine or was it just a matter of using the proper adapters? Oh, by the way, that header looks like it was custom made by somebody who has some experience in such things. I bet that critter makes a glorious loud noise when you're tearing down the track, too. Yup. Ford, in their short-sightedness, neglected to consider the possibility of anyone ever needing to mount a magneto (which is longer than a normal distributor) in conjunction with a CROSSFLOW head (which has the intake on the "wrong" side) so 6re6 had to fabricate his own right-angle drive for the magneto. Cool. Wow Greg!, I've had never seen one of your motors up close, very nice. I for some reason had thought you were using 3 four barrels with individual runners, obviously I was wrong. You are the master of the hammer form. Did you use a hammer form for the valve cover as well? What type of welder are you using for your creations? TIG I would guess, MIG can weld aluminum, but I wonder if that nice a job could be achieved. I would love to know the particulars of your engines. Have you ever considered writing a book on the big six? Something like the Schjeldahl brothers did for the small six. It seems as if you could take it much deeper than they have. Oh, and good luck on the 8.80's. The faster you go the less I get laughed at when I tell friends I want to build a six! Did you ever get the head gasket issue sorted out? eeyore wrote: Oh, and good luck on the 8.80's. The faster you go the less I get laughed at when I tell friends I want to build a six! HAW HAW HAW HAW!! Me too. Usually when the subject of drag racing comes up in casual conversation I sometimes mention, "Oh so you're a drag racer? Me too. 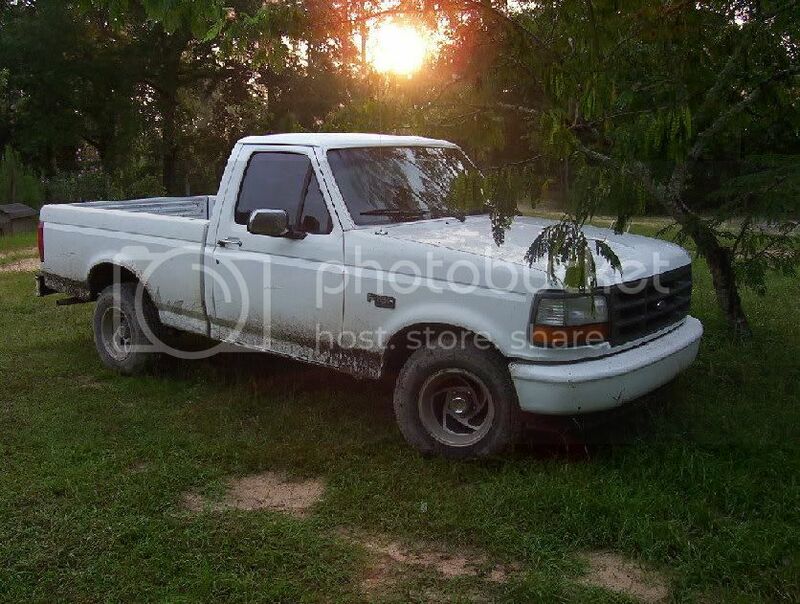 I just have an old 'Ferd' with one o' them straight six truck motors in 'er." Then I wait for them to ask how fast it has run. Yup. I am using one of FelPros hipo gasket with a flattened fire ring and metal foil heat shield between the bores. I raced all last year with ONE gasket. I also had to resurface the block and head surfaces AFTER putting several runs on them. We'll see how it holds up at these increased power levels (vs the slower back-up motor). 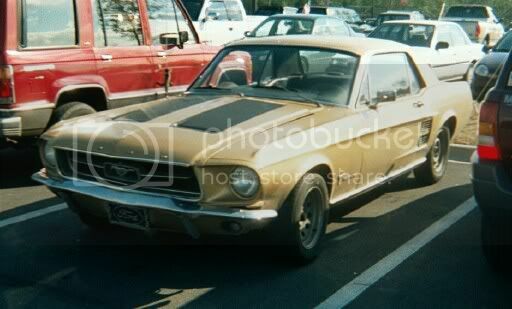 eeyore wrote: Wow Greg!, I've had never seen one of your motors up close, very nice. I for some reason had thought you were using 3 four barrels with individual runners, obviously I was wrong. You are the master of the hammer form. Did you use a hammer form for the valve cover as well? What type of welder are you using for your creations? TIG I would guess, MIG can weld aluminum, but I wonder if that nice a job could be achieved. Thank you. I formed the valve cover with a hammer and dolly mostly. I TIG stuff mostly at the local community college where I used to teach welding part time. My racing life is pretty much an open book - I'll tell you everything I know EXCEPT the speed secrets and tricks that other racers have confided in me. I will not violate their trust and put them in a situation where they lose a competitive edge if what they are doing becomes common knowledge, or worse, gets them outlawed. I know some prominent drag racers and I try to stay on their good side by maintaining this trust. But I would like to write a book someday. The only way to do it would be to jump in with both feet, acquire some high end photographic equipment and audio recording equipment to shoot and interview the best of the best. Like Leo Santucci did with the Chevy six. I want to interview some engineers who worked on the 300 six program at Ford before I lose contact with them too. But for now I have some projects to do. I can see a time when my joints are too arthritic to race, my eyesight is too deteriorated to weld, and the fire in the belly is gone. Then I'll do the book.